The Singing Classroom: Why Does Music Education Matter? Because administrators and politicians generally view music as an “add-on” or “special,” it can be the first program cut from a school facing budget constraints. As a result, supporters of music education constantly struggle to justify music’s importance. They might show how music improves math scores and increases school attendance, or they may demonstrate that the focus and discipline required to master an instrument improve students’ overall academic performance. Proponents of music education may also discuss one of the most compelling effects of music—the fact that creating music requires individual competence (based on practice and discipline) combined with attentiveness to others in an ensemble, and that this balance prepares children for success in any work or personal environment. They may also point out that learning to lead an ensemble, whether as a conductor, band leader, or first chair in an orchestra, is excellent preparation for leadership of any kind. They’re right, of course, about all those things. But the underlying reason that music helps improve nearly every area of a child’s life is that music is a critical and necessary part of the human experience. The more you remove people’s access to creating and listening to music, the more people suffer, both individually and as a part of a culture. Each of us has a heartbeat that makes us the walking embodiment of music. Our life force is a steady beat, the foundation for all music. When we are excited or frightened, the beat accelerates. When we are relaxed or at rest, the beat is slower. Music has its basis in our very core. Also, in order to communicate, we vary the pitch of our voices to create language. Varying pitches are the basis for melody. In fact, that’s why we can remember language in the form of lyrics to a song more easily than language in the form of a poem or expository prose. The song organizes the language into memorable pitch and rhythmic patterns, thus tapping into qualities which are inherent to our physical being. Yet many in the U.S. and some other parts of the world increasingly view music as the exclusive domain of the extraordinarily talented. Many people will say that they can’t sing, or that they have no musical ability. The reality, however, is that they simply have had limited exposure to music, particularly at a very young age. What we think of as being inborn talent or genius is more likely a combination of some natural ability, passion, early exposure, extensive practice, and laser-like dedication. 45, 000 people, many of whom will tell you that they “can’t sing” will nevertheless sing the chorus to “Hey Jude” with joyful abandon at a Paul McCartney concert. On 9/11, U.S. politicians spontaneously sang “God Bless America” on the steps of the capital building to express their sense of grief, anger, and patriotism. They didn’t spontaneously speak the pledge of allegiance in a monotone chant. For adults, a song from childhood or high school will evoke extraordinarily immediate and tactile memories of that time. Parents softly sing to babies to calm them and get them to sleep. Parents who “don’t sing” will purchase recordings and play them for the babies, knowing the effect they will have. Immediately after a disaster, what is done in order to raise money? A concert! Not products to purchase, not a performance of comedy sketches, not an art installation, but music. The music helps people process the pain of the disaster, and also provides a foundation to inspire people to give money to help victims. Music is unique in that it is both a discipline and an immediate gateway to human emotional life. 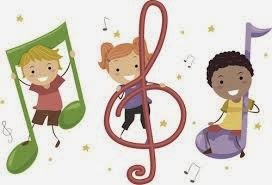 Children who participate regularly in music not only hone their abilities to focus, think, analyze, organize, and work with colleagues, but begin to master their own emotional lives. Many of the people causing harm in the world through violence, wars, intimidation, and corruption could have avoided that path if they had had access to both a better awareness of their own emotional lives and a constructive passion in which to direct their desire for power. Music provides both. Suddenly Peter Ianniello doesn't like to be on YouTube as much as I thought. Or, he doesn't want to be on MY blog on YouTube. Or whatever. Peter, we enjoyed watching you describe Department policy!! C'mon, be brave. Put them back out to the public. I guess I will have to file a FOIL request. Below is my former post with the live YouTube videos. Leaders in New York City have similarly reformed the department's human resources office to align with its school improvement efforts. "In the past, HR was kind of an 'add on' department," says Vicki Berstein, deputy executive director of the division of human resources. "We had responsibilities for finance, administration, facilities, safety—HR was one of more than 10 things we were responsible for." Since 2003, however, Chancellor Joel Klein and his leadership team have recast the role of the human resources office to reflect a keen focus on strategic human capital. Over the past four years, the office has worked to shift from a transactional entity focused primarily on filling vacancies to a "quality broker" that works with schools to find the best person for a specific job, whether a teacher or a principal. "For a long time, the focus had been on hiring and placing teachers ourselves," says Berstein. "We wanted to focus instead on serving the school. So we've had to change our systems to help us do a better job of matching candidates with schools." New York started by re-staffing the central recruitment office with recruiters who had teaching experience rather than a civil service background. The HR office also established a new placement process to allow principals more authority over who works in their school. 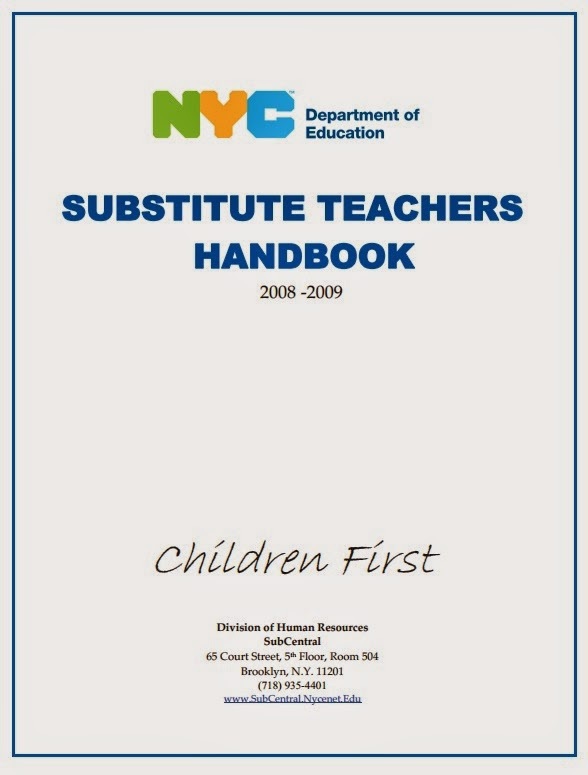 Instead of reviewing applications only for basic eligibility, HR staff now screen each new teacher applicant according to a common rubric that was developed based on input from principals across the city. "We make sure candidates have all the proper credentials so that principals aren't wasting their time interviewing people who they can't actually hire," says Peter Ianniello, director of recruitment and selection. "But we are also more selective about the teachers we are bringing in and recommending to our schools." Each candidate who passes the initial screening is placed in a pool that is made available to school leaders online. Based on candidates' strengths and interests, principals can schedule interviews only with those applicants who they believe would be good matches for their schools. In New York City's early stages of reform, many department-wide initiatives—such as required curricula in reading, writing and math and school-based parent coordinators—were designed to stabilize and bring coherence to a fragmented system. But with the evolution of the department's reform efforts, Chancellor Joel Klein has now deliberately transferred authority from a central bureaucracy to the school level. New structures within the department, innovative support systems and contract relationships with individual schools are all designed to support the department's vision of empowerment and accountability. "Our goal has been to move from a system that had been very centrally managed to a system that is built on a backbone of accountability," says Klein. Between 2003 and 2006, 10 regional centers supported schools across the city, helping to unify the system of more than 1,400 schools. In 2007, these regions gave way to a network of school support organizations and service centers, nimble organizations that provide schools with many of the same services and supports that had previously come from the central bureaucracy. School support organizations across the city now compete to offer schools help with instruction, educational programming, scheduling of the day and year, and professional development. Business service centers offer schools assistance with operational issues such as payroll, vendor contracts, facilities issues and budgeting. "Principals can look around at different systems and purchase the one they want," explains Lawrence Pendergast, a high school principal. "The district literally gives us money and says, 'you pick out the support that you think will work best for your school.' That's real honest empowerment for a principal." NYCDOE's leaders have taken empowerment one step further through new performance contracts with principals across the city. The contracts spell out specific performance goals—for academic progress, student behavior, and financial health—that schools must meet each year. Those that have consistently low student achievement over time may face leadership changes or closure. In return for this accountability, principals can exercise greater autonomy over instructional methods, assessments, professional development, the school day and the budget. New York's new organizational structure—together with a dynamic support system and greater autonomy at the school level—combine to create an environment that allows effective leaders to do what is necessary to achieve the next level of dramatic improvement in student achievement." Dr. Ianniello likes being on YouTube. 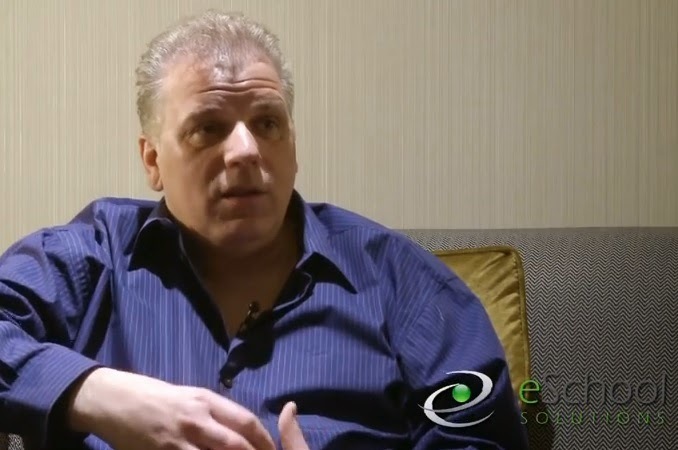 Peter Ianniello from the NYC Department of Education discusses how the features of SmartFindExpress has helped to mandate their special education paraprofessionals. Learn more about eSchool Solutions teacher absence management programs by visiting our website http://www.eschoolsolutions.com/. In 2007, Dr. Ianniello was cited for a violation of the Conflicts of Interest Board rules. Managed all aspects of alumni data, gift records and acknowledgments, and reports for both the offices of Development and Alumni Relations as well as other University users. Time to re-post my June 5, 2010 post on this blog. Theresa Europe is no longer the Director of the ATU. She was moved to the 7th floor, the tiny room next to Room 730-C right beside the Xerox machine. In my opinion, if you are being falsely charged, DONT SETTLE. FIGHT, defend yourself, and bring in as many witnesses as you can, all with subpoenas, so that the Department cannot prove the false claims against you. Winning Your 3020-a: Should You Settle? If you do not go through your hearing and thus do not get a decision on the merits of the case from your arbitrator, the New York City Board/Department of Education will keep you on the Ineligible/Inquiry List forever. You will not be declared "innocent" if you settle your case even if you agree to retire. My suggestion? DONT SETTLE IF YOU ARE INNOCENT OF MISCONDUCT/INCOMPETENCY. I have observed the 3020-a process for seven years, and it is not a fair process for many people, and several arbitrators show bias against Respondents during their Hearings, which can be appealed to the New York State Supreme Court as an Article 7511. Staying in the appeal process is the best way to go until the victims of the NYC BOE Black List can be given information of how to be removed from this "LIST"
By the way, I heard that as of several weeks ago, the List was replaced bya payroll code. Below are the emails that a retired teacher sent me a year after he settled. He was shocked to find out that even though he had settled his case, he was still listed as 'ineligible'. As you all know - if you have read my website or this blog - Theresa Europe is the Director of the Administrative Trials Unit (ATU) at 51 Chambers Street New York City. She is the leader of The Gotcha Squad. ... My frustration comes from the fact that I was not found guilty of anything, monies were returned to me and still for some reason I can't fathom; I am being punished after my retirement. Please keep in mind, that I fully cooperated with the DoE on my as well as other related matters involving a prior lawsuit and its protagonists. We enjoyed a cordial andprofessional relationship which I trust has not been destroyed. I ask again, that you reconsider and assist me in removing my name from the Inquiry/Ineligible list. I have found an employer that is interested in employing me as a consultant. They checked the Ineligible list and will not begin my employment unless and until my name is removed from that list. My name was placed on that list before any hearings began. My point is simple. I was not found guilty of anything. I retired of my own free will and agreed to irrevocable retirement. I was refunded monies as proof of my innocence. There is no reason in the world for my name to be on a list which blackballs me. Please take whatever measures necessary to remove my name from this list. It is inappropriate to punish people when they are innocent especially when they retire. You are not precluded from working with all vendors but there are some who must check the Inquiry List as part of their contractual terms with the DOE. Should you find a vendor who is interested in hiring you, and they are required to check the Inquiry List, please contact Human Resources as they will review the matter and determine whether your employment with that vendor is appropriate. ...I am trying to assist you however, that seems impossible. You spoke of a vendor months ago that which you claim wanted to hire you. I called that person not once but TWICE to discuss your potential employment with that vendor to which, she never returned my call (which leads me to believe that while she may have told you that she wanted to hire you, she actually didn’t since she didn’t return my calls). You will not be removed from the list. You entered into a stipulation of settlement wherein you irrevocably retired. As such, with EVERY irrevocable retirement/resignation, the person is placed on this list. (emphasis added by Editor) You were not refunded any monies as proof of innocence. We entered into a stipulation and agreed upon terms. If you wanted to be found innocent, you had the option of proceeding with a hearing on the merits. Since the arbitrator did not hear any testimony, you certainly cannot say you were found innocent and conversely, the District cannot say you were found guilty. The merits were not addressed. I have attempted to help you but clearly, your focus is only being removed from the list which we are not going to do. Again, and for the last time, if whatever vendor you claim WANTS to hire you, they should contact Andrew Gordon. You will receive no further communication from this office. don't see the problem. When you take a deal to irrevocably to resign, the DOE will not hire you. Every teacher knows this but choose to ignore that part of the stipulation. As for being innocent? When you take a deal the DOE automatically assumes guilt, hence the ineligible list. That is why you do not ttake a deal if you are innocent or the charges are way off base. Today a boy from 4th or 5th grade was arrested by the police because he kissed a girl. The exact circumstances are unknown to me. It happend at PS 106 in Brooklyn NY 11221 (Putnam Ave.). My son and other parents are chocked, the little boy was handcuffed and transported in the back seat of a marked police car to the precinct. The parent coordibator there is Mrs Susi. I would luke to know if such an arrest is legal. No adult other than the two uniformed police officers were in the car. Thanks. A concerned parent.